So it's been a while since I've made any statements about how online publications cover country music, mostly because after the bro-country bubble burst it's left a fascinating aftermath. On the one hand, most of the mainstream remains tacitly ignored unless they're interesting, have hype, or it's a really slow reviews week. And really, you could say the exact same thing for the indie scene, which is a little exasperating but kind of understandable. Read through the list of writers on Pitchfork or the AV Club that cover country and you'll see a short list of names indeed, and even then they're going to the NPR-approved, higher profile indie names over anyone else. Which I suppose makes sense - you've got to maintain your indie cred and traffic figures somehow - but it also means there comes to be a set 'sound' of indie country acts that'll get critical examination and little else, sometimes so far to the fringe of folk or rock that indie country sites won't even cover them. Case in point, Mount Moriah. Fronted by Heather McEntire formerly of the post-punk group Bellefea joining with guitarist Jenks Miller of Horseback - a band known like Panopticon for blending Americana with black metal - it's not at all surprising most of the indie country scene ignored their self-titled debut and followup Miracle Temple, which were country-touched Americana drenched in rougher folk rock tones. Oh, and they're both excellent, held up by some great hooks, thought-provoking writing, and Heather McEntire's excellent and expressive delivery. But it's been three years and now Mount Moriah are back with reportedly their most outright country record to date, so everyone is now out of excuses. And while I'm a little late to the punch, it's not like anyone else has covered this band on YouTube - ever - so I dug into How To Dance. Did it live up to expectations? Well, just for my luck and for the second time in two days - albeit for completely different reasons - I find myself wishing I liked this album more than I do. 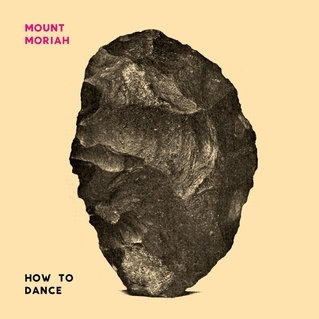 Oh, don't get me wrong, How To Dance by Mount Moriah is very much pleasant and listenable and literate in the details and songwriting... and yet in comparison with the darker, more straightforward writing that drove their first two records, this kind of falls flat with me. And it's one of those weirder cases where as the album got more literate and detailed, the more I felt distant from it, even as deep down I got the impression it's probably one of their most personal releases to date. And even with that, I only got to this point after probably a dozen listens trying to make sense of this record, because it sure as hell is not an easy nut to crack. But let's start with the most immediately accessible element of this record, and that's Heather McEntire's vocals - and really, it's her quiet charisma and skill at bending together melodies that will hold this record together. And there's a lot of little subtleties to her delivery that definitely show how personal some of these songs are, even if it's not immediately clear what she's singing about. There'll be some who find her delivery a little restrained, but my bigger issue comes in the production, in that there are points where she feels a little overwhelmed by her instrumentation, which is probably the most broad and dense it has ever been. Rich, rough edged guitar tones, prominent bass, a fair bit of organ, hints of steel guitar and strings, and even some horns come in - although in the last case I'd say to this record's detriment, because they really don't add much on tracks like 'Calvander' or 'Cardinal Cross'. What's more immediately apparent is that for as much as this album has been advertised as country, I'd hesitate to really assign that label, mostly due to very little acoustic instrumentation, where the most of it comes in some texture added to the groove on 'Higher Mind'. I'm reminded a lot more of the roots rock in the 80s underground or maybe the adult alternative scene in the 90s, especially in the fact that as much as these guitars have bite, they feel a little cleaner and more restrained in their tones than on previous albums. And look, I do see the advantage of that - opt for more melodic interplay between guitars and bass, maybe add in some strings or organ to thicken the sound - but this is where I encounter my big issue with the instrumentation: a lot of the progressions run together for me, mostly due to a serious lack of distinct melodic hooks. Part of this is that Mount Moriah aren't really writing hook-driven songs - these tracks meander at their own pace, more focused on telling the story in atmosphere and subtle shifts than self-contained statements - but it doesn't really excuse how the instrumental textures don't really change up or evolve, and the very uniform tempo doesn't really help. Now that's not saying these textures are bad - I liked the rougher moments that crept through in the guitars on 'Baby Blue' and 'Davis Square', especially on the solo, and the title track is probably the one place where the strings really did a lot to anchor that melody - but again, individual songs can really fade into the background here. And it doesn't help that especially on the first half of this album songs can feel a little short, notably 'Precita' and 'Cardinal Cross' as fragments of ideas that don't really feel fleshed out all the way. Okay, so what do all of these ideas add up to in the lyrics and themes? Well, let me start by saying that even if you have the lyrics in front of you, you're not going to understand this record the first eight to ten listens, because the metaphors are layered and dense, filled with references to classical mythology, locations in their home state of North Carolina, and flora of all things. The writing is almost overloaded with detail, working to establish such a vivid setting that you can feel like you lose the character between the lines. Now I'll come back to this, mostly because when you do read between the lines, there's a distinctive arc to this record, notably how Heather McEntire deals with her own depression, faltering faith, and queer sexuality in the South. And on that level, it almost makes sense that this record never gets overt about these struggles - mostly because they are very much internal but also because the environment is not particularly accepting of them. So this record inevitably draws upon pagan imagery on tracks like 'Chiron (God In The Brier)' and 'Cardinal Cross' - detours that I'd argue don't really connect particularly well, mostly because they feel a bit like red herrings when songs like 'Fox In The City' or 'Baby Blue' or 'Higher Mind' hit a lot harder. 'Fox In The City' in particular puts a great picture together, showing a woman McEntire may have loved in the past falling into an unsatisfying domestic life that might not be representative of who she is - and then it's revealed it was all a ghost, more reflective of McEntire's own insecurities about herself. And this record gets the most emotional power when it cuts into that internal conflict - learning how to accept that God's not giving the answers on 'Baby Blue', or on 'Little Bear' where she reconciles the truth about her childhood in order to break the nostalgia; or when she finally lets that old love that haunted her from the past on 'Davis Square', or the title track on finally claiming her own agency. There is a potent conflict that runs throughout this record... and yet I feel more distant from it than I should, because this record feels much more concerned with setting the scene and place than the characters than live within it, which is a problem when the characters are driving the drama and conflict. So as a whole... man, I wanted to like this more, because when you untangle this record, there's real heart and power to it. The problem is that the uniform instrumentation and pastoral writing style doesn't do enough to accentuate that, instead just wandering through at its own pace. And I guess that's metacommentary on the record itself - such journeys need to come at their own pace - but the production and music doesn't do enough to make the atmosphere thick enough to pull me in for more. So for me, I'm giving it a very strong 6/10, but I entirely get it if you find more to like here. Give it a listen if you're curious, but for me, How To Dance doesn't quite capture the power of their first two albums, so I'll be staying on the wall.